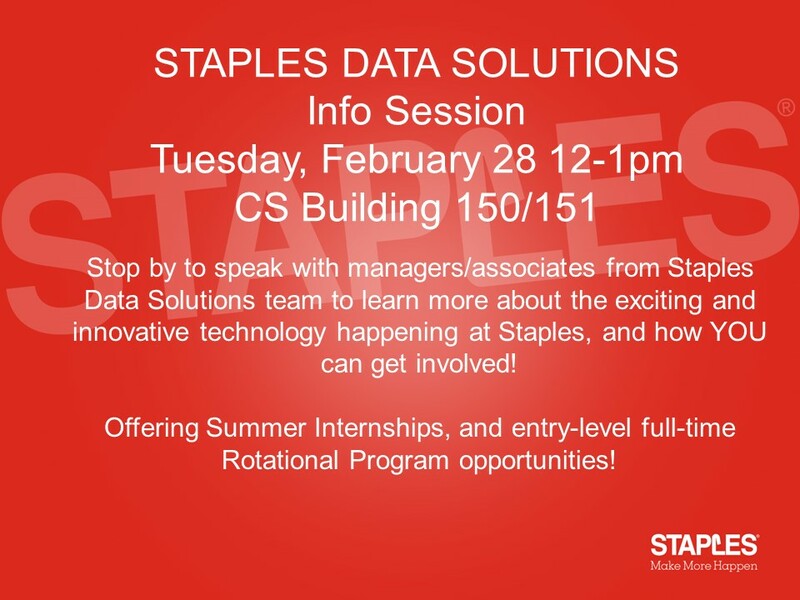 Learn about the full-time and internship opportunities available at Staples, based in Framingham, MA. This event is primarily targeted toward CS/ECE undergrad. seniors, juniors, and sophomores; however, Staples does have a few openings for graduate students. Lunch will be served. Recruiters will be available, bring your resume.